Alia Al Farsi holds an ineffable belief in the need to explore inner beauty and to help project it to discerning viewers. Not hindered by stereotypical definitions of art and the means of expressing it, she imbues a sense of style in all that she creates. A firm believer that art needs strong roots but these should not act as barriers to creativity and hence her interpretations of Arabic art take on cerebral forms and textures. The scale of what she can create spans from intricate palm sized boxes to large wall paintings and even air-force jet fighters. 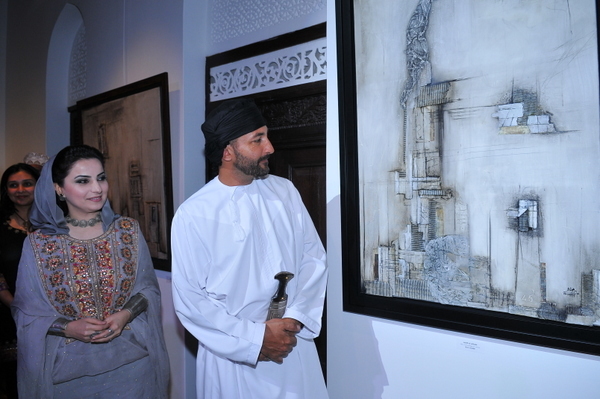 An accomplished and unconventional artist who is constantly inspired by her muse Oman. She has challenged artistic inhibitions and continues to explore new frontiers for her self-fulfillment and in pursuing her artistic mission and quest. 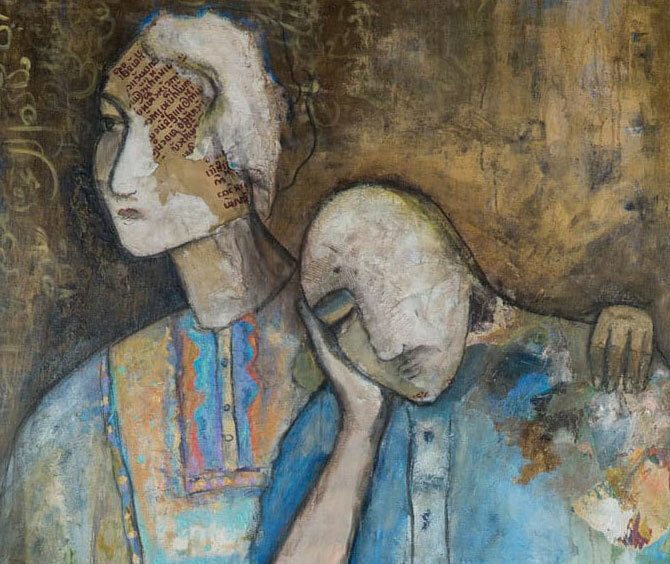 Alia sees the intrinsic beauty in all things and relishes the experience of bringing out the true essence of diverse materials, which explains French poetry in her paintings to Cambodian textiles, Omani artifacts and coins. Weaving these into a harmonious story relying on her spiritual side and admiration for the philosophies of Sufism. She has held solo exhibitions in Tokyo, Dubai, Paris, Seoul, Brussels, and has exhibited at Venice Biennale in addition to over 20 countries. 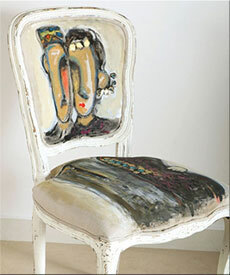 Her works include large-scale paintings, objects, furniture and installations. 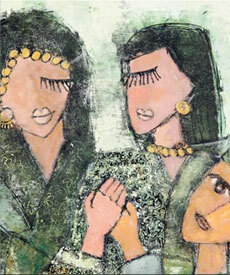 Her work has been auctioned at Christies and is displayed at Museums including the Arab World Institute in Paris. She is also the recipient of numerous awards. 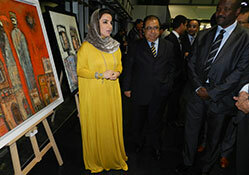 She obtained an MBA from Bedfordshire University and has explored graphic design at Central Saint Martin. 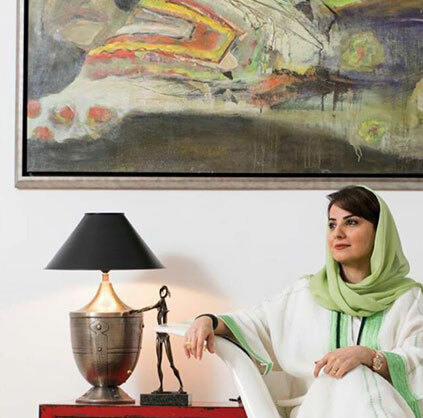 An active participant in social media, she sees the potential of using these new media frontiers for spreading her message to art connoisseurs around the world. Her recent foray into furniture, sculptures, installations, and object painting allows her to showcase and express her talent beyond two-dimensional settings of the canvas. 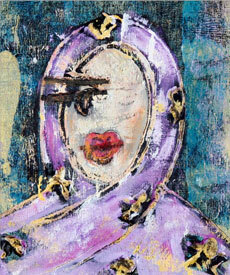 Complex pieces with multi-faceted subjects sit next to paintings that use old coins and textiles from the Far East. 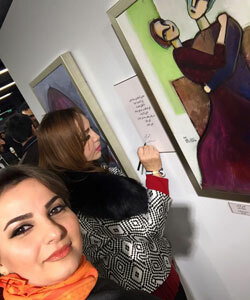 Her strong spiritual grounding and interest in the philosophies of Sufism is captured in the movements, facial expressions and reflective looks of her paintings. 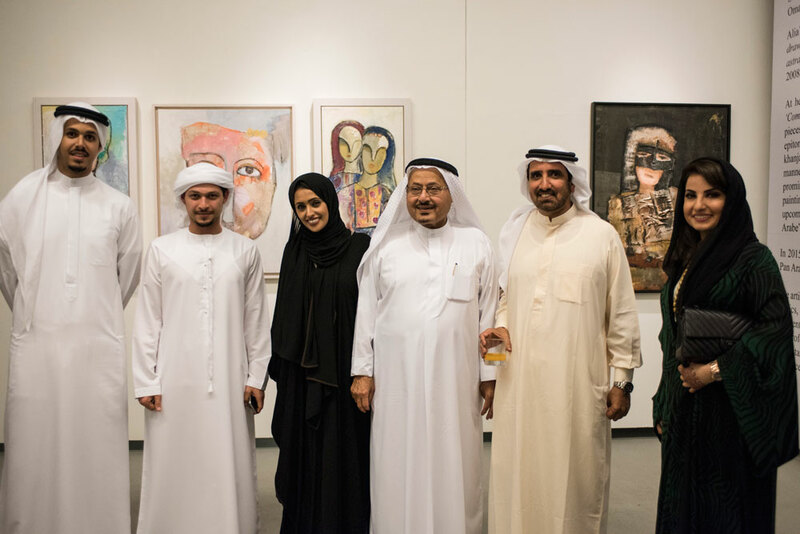 Solo Exhibition 'Zenith of Solitude'' at Bait Al-Baranda museum. 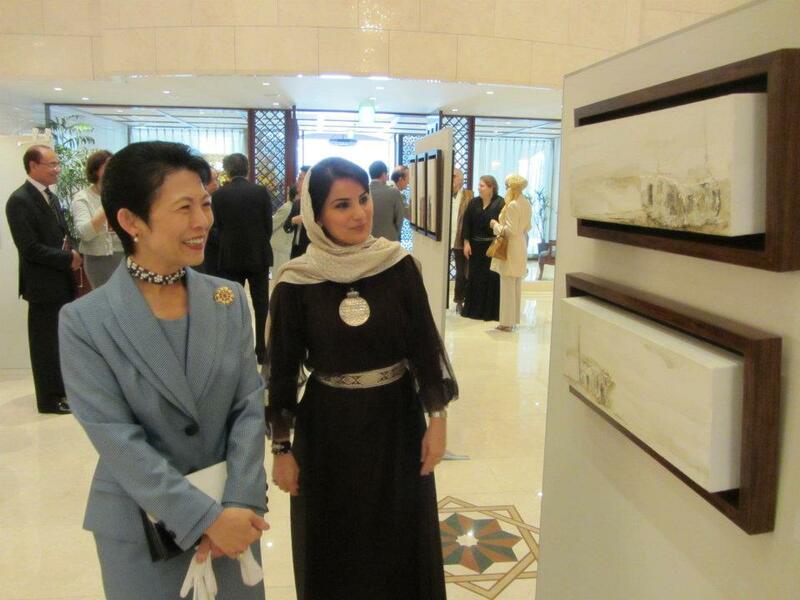 Solo Exhibition '' Alia's Sky'' at Royal Opera House. 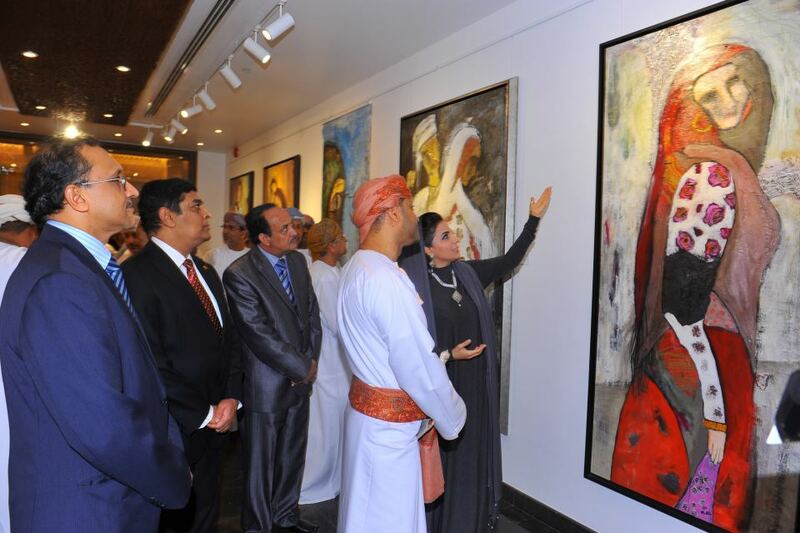 Solo Exhibition "'Manifestations'' invitation from the Omani Ministry of Information. 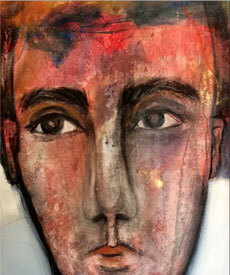 Solo Exhibition "Preeminence" at Empty Quarter Gallery. 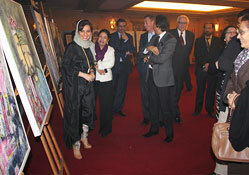 Solo Exhibition "Strings & love" with renowned writer Ahlam Mosteghanemi and renowned calligrapher Abderrazak Hamouda.